I'm finally back for another, much overdue blog posts! My apologies for being away so long, it took some time to reorient my technology needs after the broken arm. I had to acquire a Windows surface and a tobii eyetracker , consequently I have been occupied With setup and configuration. beginning that it didn't work quite as I had envisioned. But on occasion it has been extremely helpful. 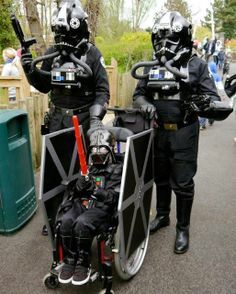 I do pilot my wheelchair... right? So I obviously need wingmen... right! Most recently, I've been using it for things like grocery lists and managing my paper work at the hospital. These days, I usually get off at the hospital and left on my own as I can still communicate and get around quite well wheeled 2.0 I don't need an assistant following me all the time. So we start my iPhone to the need knee board along with my hospital cards. This allowed people to easily access what they needed, with my supervision and not rummaging through my bag. Kept everything nice, organized and easily accessible. By sticking my iPhone to get on a band of Velcro tape I was also able to (relatively) easily maintain text message communication via Siri while I was there. The board is comfortable to wear (with pants. With the shorts…meh!) on either leg and stays put quite well. It is attached by a pair of Velcro loops that you close around your leg. Personally, I quite like and I would say it is well worth the cost of C$50. It comes in one of three colors. Black, e Pat camouflage and optionally has a bunch of accessories that can be velcrod to it. Other pouches for example.